Galvanised hanging and slam posts to suit the metal farm gates. 3 1/2 inch diameter and 6ft long. 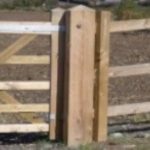 We have a full range of field gate posts for sale to suit both steel and timber farm gates. Our galvanized steel posts are ideal if you are looking for a durable set of posts to go with a field gate . We stock both slam posts and hanging posts in two different sizes. We offer 3 1/2 inch galv’d posts and 4 inch. We would recommend using the 4 inch post for hanging larger gates and the 3 1/2 inch as slammer posts. Gates for smaller openings can use the lighter weight hanging post effectively. Our hanging posts come with hinge pins securely welded on in the common positions and able to accept most of the common eye sizes. We stock all the common sizes of wooden field gate post. Our timber posts are environmentally friendly tanalised softwood which makes them durable against fungal and insect damage and won’t cause problems with livestock. All our timber posts come with a weathered top to prevent water ponding. We offer 6 inch, 7 inch and 8 inch square field gate posts. 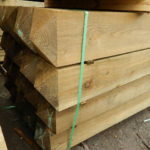 We stock these sizes in 1.8m, 2.1m and 2.4m lengths. These posts are suitable for both metal and traditional timber agricultural gates. All our prices include VAT but exclude delivery and cost of fittings.